Should you avoid PMI? Or buy now? It’s a type of insurance no one likes to pay: private mortgage insurance, an insurance that protects mortgage lenders if you eventually default on your mortgage loan. Depending on the size of your mortgage, private mortgage insurance, better known as PMI, can add $100 or more to your monthly mortgage payment if you don’t first come up with a down payment of 20 percent of your home’s purchase price. But is it worth it to scrape together the funds for a 20 percent down payment just to avoid PMI? The answer to that is complicated and depends largely on your financial situation. But there is one clear benefit to buying a home, and taking on that PMI payment, even if you can’t afford 20 percent down: The sooner you get into a home, the faster you can start building equity. If you are renting now, you could lose plenty of money if you wait to buy a home until you have that 20 percent down. The money that you pay in rent each month goes directly to your landlord. If you were in a home and paying a mortgage instead, you’d be building equity, and that’s valuable. This chance to build equity sooner is the number-one reason why it sometimes makes financial sense to take that monthly PMI payment. You can avoid PMI … but should you? There is a way out of paying PMI: If you come up with a down payment equal to 20 percent or more of your home’s final purchase price, you won’t have to pay for PMI. That’s because lenders think you’ll be less likely to default on your loan, whether you are taking out a conventional loan or a government-insured loan such as an FHA loan or VA mortgage, if you have more money invested in it upfront. With the bigger down payment, lenders consider you less of a risk. Consumers might hate PMI, but lenders say this insurance isn’t all bad, and has played an important role in boosting homeownership. 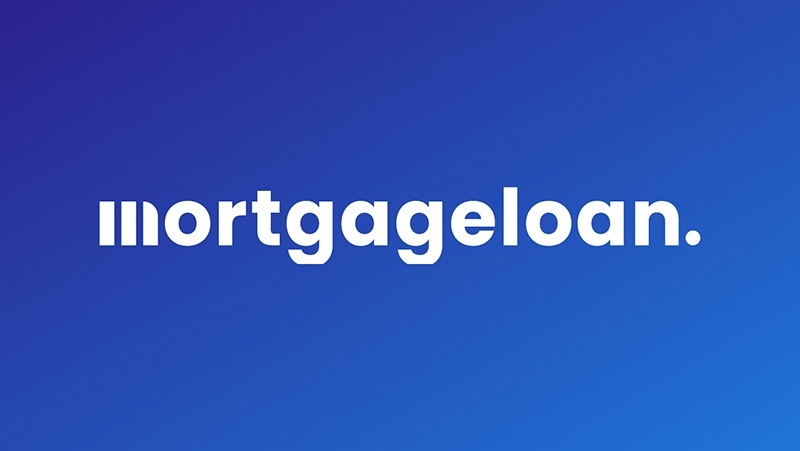 That's because PMI makes lenders comfortable enough to loan hundreds of thousands of dollars to borrowers who don't provide a down payment of at least 20 percent of a home's price, said Megan Ware Marsh, co-founder of Keystone Alliance Mortgage in Erie, Pennsylvania. If PMI didn't exist, borrowers would have to provide that 20 percent down. For a home costing $200,000, that comes out to a down payment of $40,000, a lot of money. Today, buyers can put down far less, with lenders often approving loans with down payments as low as 3 percent of a home's final purchase price. Ware Marsh says that the median down payment for first-time homebuyers is a far more affordable 6 percent of a home's price, while that figure rises to 14 percent for repeat buyers. Paying PMI can also get you into a home and out of renting an apartment earlier. It might take you months to save up enough for a down payment of 20 percent. While you're saving, you'll be making regular rental payments to your landlord, payments that don't earn you anything financially. But by accepting PMI when you can't afford a 20 percent down payment, you'll be able to get into a home earlier. Instead of sending payments to your landlord, you can send them to your mortgage lender and build equity in your home. Equity is the difference between what you owe on your mortgage and how much your home is worth. if you owe $150,000 on your mortgage and your home is worth $200,000, you have $50,000 in equity. You can borrow against this equity in the form of home equity loans or lines of credit for anything from a major kitchen remodel to paying down your high-interest rate credit card debt. When homebuyers don't put as much money down, they can use those dollars to instead pay off high-interest-rate credit card debt, build an emergency savings fund or boost their retirement savings, Ware Marsh said. "I would rather see buyers invest money in their retirement or pay off debt than pay an extra $10,000 on their mortgage that will only reduce their payment by $50 a month," Ware Marsh said. Jeremy Sopko, chief executive officer of Nations Lending in Cleveland, said that it doesn't always make sense for borrowers to put down 20 percent just to avoid PMI. If putting down so much money exhausts their savings, these homeowners can leave themselves financially vulnerable if an unexpected home repair or medical emergency pops up. Without savings, they might have to resort to covering this expense with their credit cards, never a good financial move. Borrowers who exhaust their savings for a higher down payment might also have to use their credit cards for the expenses involved in owning a home, everything from buying furniture to purchasing lawn equipment. "Although the loan they receive may have the best rate and payment they could possibly obtain at the time, the additional costs of financing furniture, minor upgrades and the additional expenses most consumers are not prepared for will cost considerably more overall than the PMI does," Sopko said. As Sopko says, sometimes it makes more sense for buyers to keep cash on hand for financial emergencies and pay a bit extra with each mortgage payment because of PMI. There’s another reason why PMI isn’t terrible: It doesn’t last forever. Once you build up equity in your home of at least 22 percent, your mortgage lender is required to drop PMI automatically. You can also request that your lender remove PMI when you’ve built up 20 percent equity in your home. Your lender will probably require an appraisal to determine the current market value of your home. Rob Drury, executive director of the San Antonio, Texas-based Association of Christian Financial Advisors, says that he's not surprised that consumers hate PMI. "Private mortgage insurance does absolutely nothing for the borrower," he said. "The only protection its provides is to the lender in case of default. It is an unnecessary expense to the homeowner and should be eliminated as soon as possible." No one enjoys paying for PMI. But Pedro Silva, wealth manager with Provo Wealth Management Group in Shrewsbury, Massachusetts, said that the extra cost of PMI should not keep you from buying a home if now is the right time to make such a move. That's because owning a home comes with real benefits that a monthly PMI fee won't erase. "Not buying a house because of PMI is analogous to not going to the gym because your favorite treadmill isn't working," Silva said. "While PMI is a nuisance, the benefit of homeownership and building equity greatly outweighs the temporary cost." And once you build enough equity to get rid of PMI payments? Silva says it's like getting an increase in your monthly cash flow. If you were paying $80 a month for PMI and that fee disappears, you can now apply that money to paying off credit card debt, building your savings or paying down the principal balance of your mortgage, Silva said.